“There’s nothing quite like your first PDC,” said junior Catherine Sweeney. Nothing, indeed, can compare to the boisterous, spring gathering that welcomes hundreds of freshmen each year. The Pre-Debutant Cotillion is a Buckhead milestone, held for each grade at different times throughout the year. For freshmen, PDC is in April, with preparations beginning months in advance. 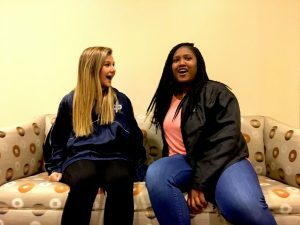 During the first week of January, invitations are sent throughout the metro Atlanta area, sending freshmen girls into a frenzy. Scurrying to secure a date for the dance, these young girls agonize over boys, dresses and ways to ask. Even in the moments leading up to the dance on that fine April evening, things can be hectic: hair, makeup, picture parties and rides are all underway. The glorified dance held at the Piedmont Driving Club has been a staple in the freshman calendar for decades. However, for the Class of 2020, the date is now out of reach. A recent decision made by Pace’s Head of Upper School Michael Gannon has barred all freshmen from attending the 2017 dance. “In light of previous years’ unnecessary drama and induced stress brought on by the event, we feel that is in everyone’s best interest to outlaw the Class of 2020’s participation in this year’s dance” said Mr. Gannon. They may have three years of potential PDCs over the course of their high school careers, but nothing’s quite like that first year. While neighboring schools will dance the night away at the Piedmont Driving Club on April 2, Pace students will be absent from the affair.